A new retirement project has been given the green light to commence development in the Sydney suburb of Bella Vista. 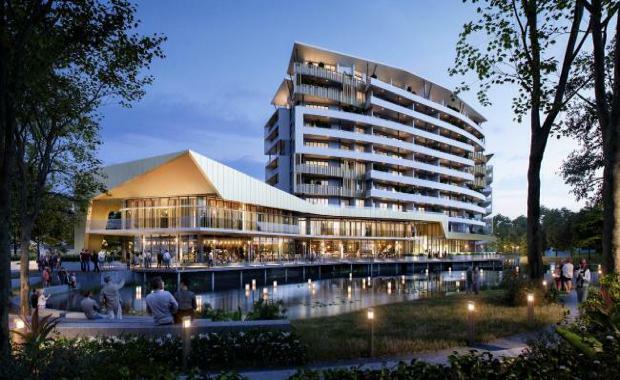 The company in charge of the project, Aveo Group, is planning on breaking the mould of traditional retirement living with their integrated vertical living retirement community. Purposefully designed to meet the needs of modern retirees seeking inner-city style living options, Aveo Bella Vista will open its doors in late 2017 with the first release of 64 one, two and three-bedroom Independent Living apartments to suit every lifestyle. Located on the corner of Old Windsor Road and Norbrik Drive, the development will also boast extensive public green spaces including a lake, boardwalk and lush gardens alongside dining and retail options to enhance the lives of both retirees and neighbouring residents. Aveo CEO Geoff Grady said Aveo Bella Vista’s primary goal with the development is to provide a broad range of care options to meet the evolving demands of Australia’s ageing population. “Increasingly, Australian seniors are seeking low-maintenance and stress-free living options that offer a sense of connectedness to the broader community and are within close proximity to nearby dining and shopping precincts,” Mr Grady said. Aveo Bella Vista have worked to provide all the elements that ageing residents may be looking for, including apartments with high-quality architectural design and a sense of “comfort and security that comes from living with other, likeminded residents”. Residents would also have access to 24/7 care, including full-spectrum aged care and allied health services, as and when they need it. “We want to ensure residents have access to the services, facilities and type of accommodation that will meet their individual needs, enabling them to age in place without the need to ever move again,” Mr Grady said.